iMovie is a program to easily manipulate the High Definition Video (HDV). Viewing and editing become as intuitive for the video for the photo. The integrated video library automatically organizes your video content so that all sequences and imported videos are always just a click away. 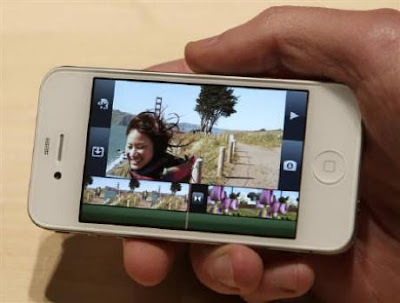 Thanks to its interface, iMovie simplifies and speeds up browsing in the video library and the implementation of new films. It was designed for sharing, in a few steps, it is possible to transfer movies on its website, publish them on YouTube and create versions for iPod and Apple TV. Connect your camcorder and let iMovie do the rest. You can work on more ambitious projects by taking advantage of performance gains. Rearrange clips directly in the timeline, try the last Skywalker Sound effects and video transitions.